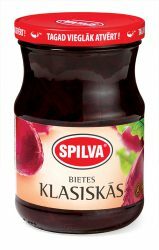 Beetroots in stipes made by Spilva classic recipe in mild marinade. Ideal for main course. Can be used to prepare soups and salads.